Hematological malignancies are characterized by high Heterogeneity. That is why the majority of patients do not respond to standard treatments. To improve treatment efficiency and reduce side effects, it is necessary to identify the best treatment for each patient at the best time. To meet these challenges, Diag2Tec has developed in partnership with a CNRS research team, the ChimioFx. The ChimioFx is a new precision medicine test that can identify the best treatment for each individual patient to help physicians in their decisions of the best efficient treatment to administer. With each individual patient bone marrow sample, the ChimioFx investigates in vitro myeloma cell response to 10 different treatments (monotherapies and combinations). 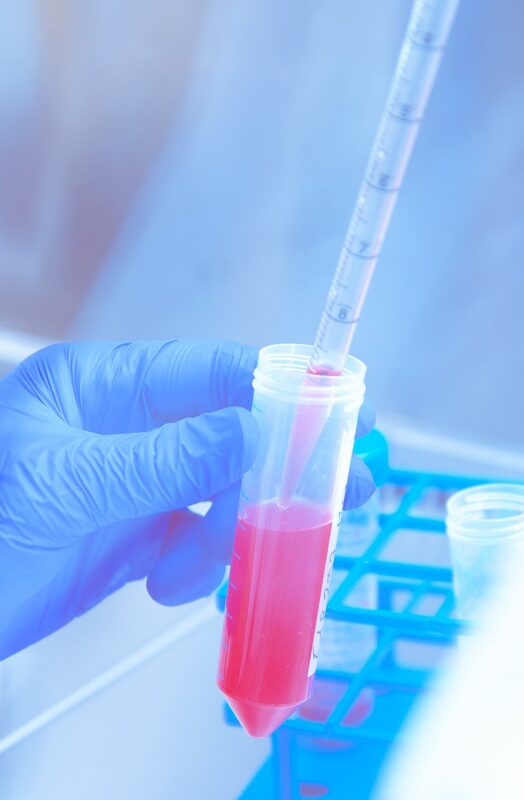 With our expertise in the extraction of plasma cells and coculture with their bone marrow microenvironment, we assess the patients’ cell sensitivity or resistance to each treatment. The test report is delivered to the physician within 7 days with the principles of privacy and security clearance necessary. For high-throughput in vitro assays, we have miniaturized and created an automated process of our ChimioFx. In 2019-2020, we will perform a clinical validation of our ChimioFx with 3 French clinical centers to confirm the reliability (comparison with the in vivo patients’ response) and the robustness of the test. We expect to commercialize the ChimioFx in 2021 in partnership with a laboratory specialized in the medical biology of hematological malignancies.